19 March 2019. Geneva. 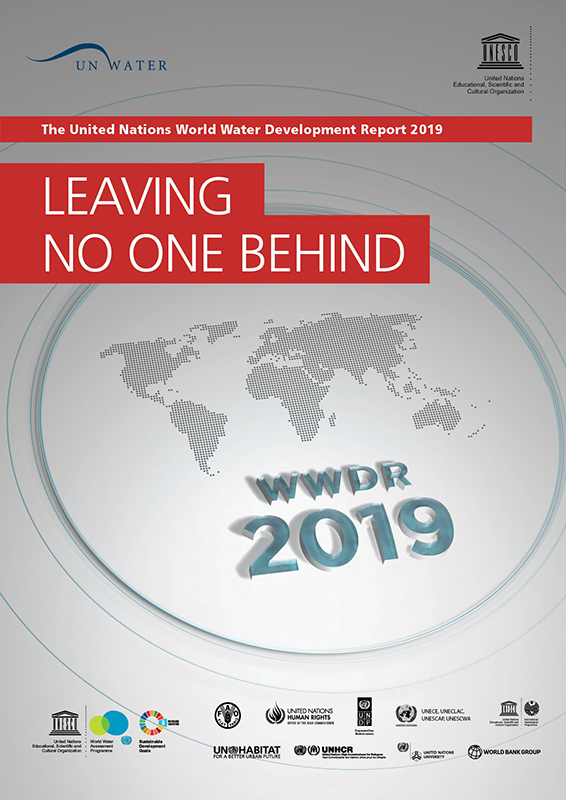 Launch of the United Nations World Water Development Report (WWDR) – the flagship publication of UN-Water on the state of global freshwater resources. In an increasingly globalized world, the impacts of water-related decisions cross borders and affect everyone. Extreme events, environmental degradation, population growth, rapid urbanization, unsustainable and inequitable consumption patterns, conflicts and social unrest, and unprecedented migratory flows are among the interconnected pressures faced by humanity, often hitting those in vulnerable situations the hardest through their impacts on water. Addressing the inequalities faced by disadvantaged groups requires tailored solutions that take account of the day-to-day realities of people and communities in vulnerable situations. 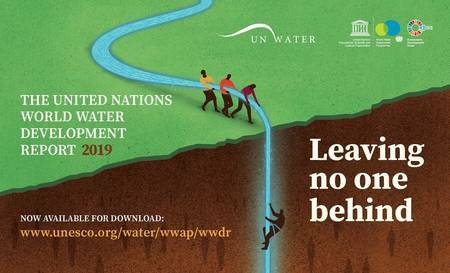 Properly designed and adequately implemented policies, efficient and appropriate use of financial resources, as well as evidence-based knowledge on water resources and water-related issues are also vital to eliminating inequalities in access to safe drinking water and sanitation. 19 – 22 March 2019. Praia, Cabo Verde. International Forum on Water Scarcity in Agriculture. The objective of the forum was to identify concrete – practical, innovative and collaborative – solutions to address water scarcity in agriculture in a changing climate. 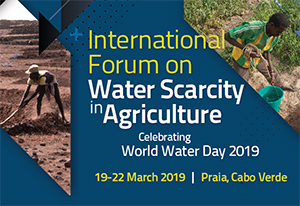 With a focus on Cabo Verde, Small Island Developing States (SIDS) and West African countries, the forum is expected to illustrate how water scarcity in agriculture can be addressed and turned into an opportunity for sustainable development, food and nutrition security. It is five years since the first Near East and North Africa Land and Water Days took place in Amman, Jordan, 15-18 December 2013. At this event, FAO and its partners established the Water Scarcity Initiative along with its Regional Collaborative Strategy and Partnership. The Near East and North Africa Land and Water Days will review the progress made in addressing water scarcity in the region, foster exchange of knowledge and experience among countries and partners and chart the way forward taking into account the lessons learned. The aim of Land and Water Days is to increase awareness of the role of sustainable land and water management in improving local livelihoods. FAO organizes Land and Water Days in coordination with the International Fund for Agricultural Development and the World Food Programme. Land and Water Days are opportunities for exchanging innovative approaches and lessons learned on sustainable land, soil and water management among practitioners, country representatives and other stakeholders and for promoting the uptake of best practices.